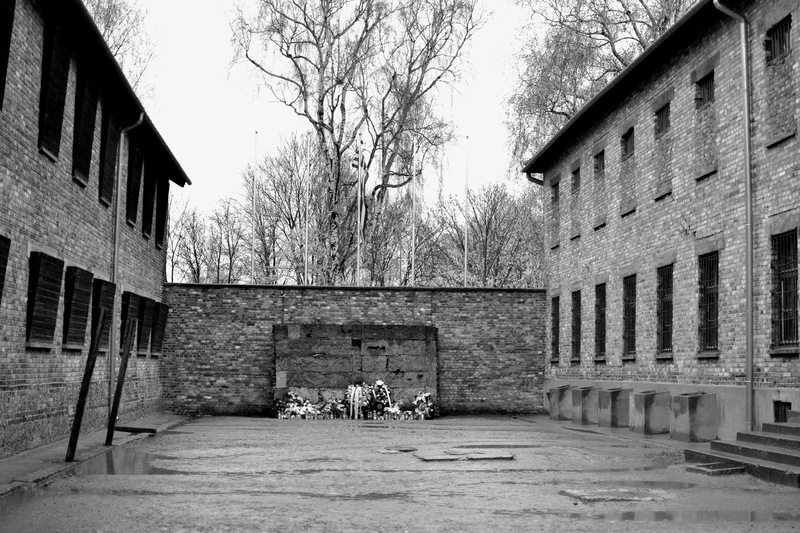 Reflections on Auschwitz and how to visit. Well, we finally made it to one of those places we have wanted to visit for a long while, but this is a different type of visit. It’s not the type of travel experience where you are thrilled or wowed, it’s not fun and in many ways it’s not even enjoyable, but what it is is moving, emotional, reflective and haunting… and that is why it is so important. Visiting Auschwitz has to be one of the most haunting and moving experiences of my life, one which will stay with me forever. I guess the first question many ask is “Should I visit Auschwitz?” I think it’s a personal decision to make but one in which you must understand that being upset is part of the deal. Not going because you fear it may move you is exactly why you need to go, you need to see and feel and experience that weight of human history for yourself instead of turning a blind eye and avoiding it. Ignoring such things is one of the main reasons it happened in the first place, ignorance is not bliss, ignorance is one of the main problems we as humans face. The events of WW2, of the holocaust and of Auschwitz can never be allowed to be forgotten, to be upset and disturbed by this place is the reason it was turned into a museum, to stop this from happening again. People also talk about respect and whether walking over a place in which 1.1 million people lost their lives in some of the most horrific conditions is actually right and respectful. I truly believe that people must visit for the right reasons, I think some just go because it’s a “tourist attraction”, some are too immature to really understand the implications. I think if you visit to remember, to learn and to acknowledge these lost lives by taking time out of your own then yes, it is right and it is paying your respects. I would be lying if I said there isn’t a part of me which was fascinating in this place and WW2 in general. I think it’s because there is almost no way you can get your head around the level of evil which was allowed to seep into an intelligent society. The propaganda, the brain washing, the horrors that became everyday normalities are all incomprehensible. The fact that human beings are capable of torturing, maiming and slaughtering people on such levels is terrifying. Given a set of circumstances humans with a gross amount of power become twisted and warped by misaligned ideas allowed to grown and develop. It shows the worst of us, to some level I think my fascination lies in finding an answer as to why. But i’m not sure there is one. For me, I can’t understand discrimination in any way, when people are racism, homophobia, sexism etc. I cannot find a reason to ever justify those beliefs. I don’t think any one person, or living being for that matter is more or less important than any other based upon religion, skin colour, appearance, gender or sexuality… but I know who hold on to these believes. I maybe try to understand why in order to reason with them but all I come up with is hypocrisy and an ignorant and idiotic arrogance and that darkness truly scares me. But it’s those of us who believe in equality, understanding and peace that must inform ourselves and take action. The rise of UKIP in the UK for example is a worrying trend in which I see parallels between the early Nazi party politics and nationalist in their propaganda which preys on the impressionable and ignorant. Auschwitz is the sum of all that evil, it is the point in which those ideas are allowed to run to their most extreme, and people must understand where that darkness can take us, not as nations but as humans, as earthlings. What do you imagine this place to be like before you go? 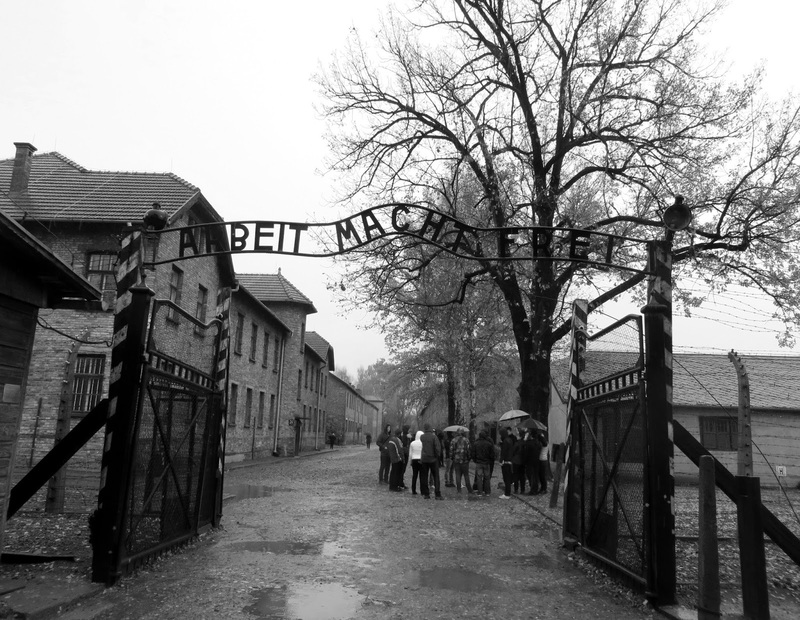 I honestly wasn’t sure what to expect, you know of the gates, above written the ironic phrase “Arbeit macht frei”, meaning “work brings freedom”. 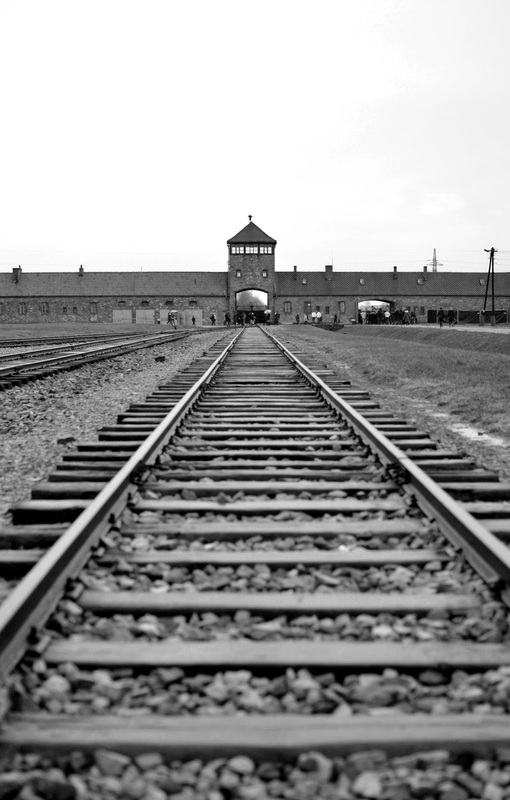 The haunting train tracks which lead so many to the gas chambers. But you can never really imagine the atmosphere, the quietness, the openness or that feeling of being completely overwhelmed by history, you also can’t prepare for the bewildering beauty of the area either, especially camp 1. The unnatural stillness, even when frequented by so many visitors, the red brick barracks lined with tall orange leaved trees, if it weren’t for the shadow of the barbed wired fences this is a disturbingly picturesque scene. The thought came to me that this place, Auschwitz one, could in another life be a beautiful holiday retreat from the bustling near by Krakow, and maybe this is the point, this was all part of the propaganda of the place and the cunning cover up during the war of the atrocities. One of the things which hit us the most was the hair and our experience here also confirmed to us why NOT getting a guide was a good idea. We wandered around rather naively and found ourselves staring at piles and piles of human hair, pieces of these people taken to use as through the product of an animal. Taken to further humiliate, de-humanise and demoralise these victims. Many tour groups passed through this room as we stood in silent reflection, ironically herded through and missing that time to really engage with the depth of this sad sight. Many of the objects, belongings and items taken from the victims felt too personal to photograph, too intrusive and a little insensitive. The sheer volume and detail of these items really allows you to take those abstract numbers and attach personalities, memories and lives to them. The suitcases especially reminded me of the naive hope with which many of these people arrived here with, tricked into believing they were being taken somewhere to work or life, some even going volunteer. Seeing the empty cans of Zyklon B was also something that really struck me, murder weapons, piled high, how many lives lost do these account for, the fingerprints of the perpetrators still etched into the cold metal containers of this suffocating poison. Then in infamous block 11 and the killing wall between it and block 10. The first place in which the gas was tested, walking through the black stained corridors of death was a chilling moment. The single purpose of block 11 was a torturous death… the details of which were truly horrific, death by starvation and being forced to stand in a tiny, dark cell for upwards of 20 nights alongside 4 other prisoners after a day of hard labour being some which stuck in the mind. Some of the photographs used in the exhibitions were also quite disturbing, images of bodies stacked up high, men, women and children stood over mass graves, horror painted white across their faces whilst the German officers grin and joke. Corpses hung in the streets for all to see, naked emaciated souls staring wide eyed out at you as they line up for what they know is certain death. Those images leave something with you, an imprint of a person you never knew and an important recognition of their suffering. Some may say these images are too much, too graphic and too intrusive, but they are the truth and the truth itself shocking. One things I would say about camp 1 is that it at times feels too constructed when inside some of the exhibitions, some of the barracks now feel like sterile museum settings and not the locations of murder and violence. Once inside I sometimes felt a little disconnected due to the level of reconstruction and decoration. But standing and looking up to those infamous gates was a moment I will never forget, the feeling as my hair began to stand on end and a lump develop in my throat, stepping over into the camp as many had before, both pilgrims and prisoners. Birkenau has a very different feel to it, it feels much more industrial, the scale is hard to take in, it’s landscape is unrelenting. Here you understand the efforts and lengths the Nazi’s went to to exterminate the Jews and the practical and physical organisation it would have required. The fact people can go out of their way to purpose build this death factory shows you the depth of their conviction, a towering monument to man’s capacity to objectify man on it’s most grotesque level. Walking through those famous gates of deaths, down the train tracks, row upon row of barracks on each side I began to find it difficult to take it all in, it’s enormity – 425 acres. Those numbers: 1.1 million, each one with a life and story of their own, I felt overwhelmed by their spirit, their ghosts. Looking over to the gate I felt that sense of fear in the pit of my stomach as I thought about those who pasted through it, it’s image is one which has always held a horrific resonance with me. Birkenau is much less restored than Auschwitz 1 and I feel that really makes the experience that much more authentic, it is also, given it’s size, a lot quieter which allows for a more personal journey around the site and felt much more eerie and atmospheric. Standing inside the empty, cold and leaking barracks, lined with hard wooden beds it felt like a much more physical experience. The sanitation here was appalling, most of these buildings had only one lavatory and could hold as many as 700 prisoners at one time, it almost defies believe that people could treat others in this way, no doubt to continue to break them down. One of the thoughts which I couldn’t shake was how people made this place just to kill and how normal that became. It’s hard to understand how any human being can wake up every morning and have breakfast with their families to go off to work and decimate other families, that blind indifference to the suffering of others and on such a scale. I found quite often that is was just too much to take on, too much to comprehend, too overwhelming in its enormity. 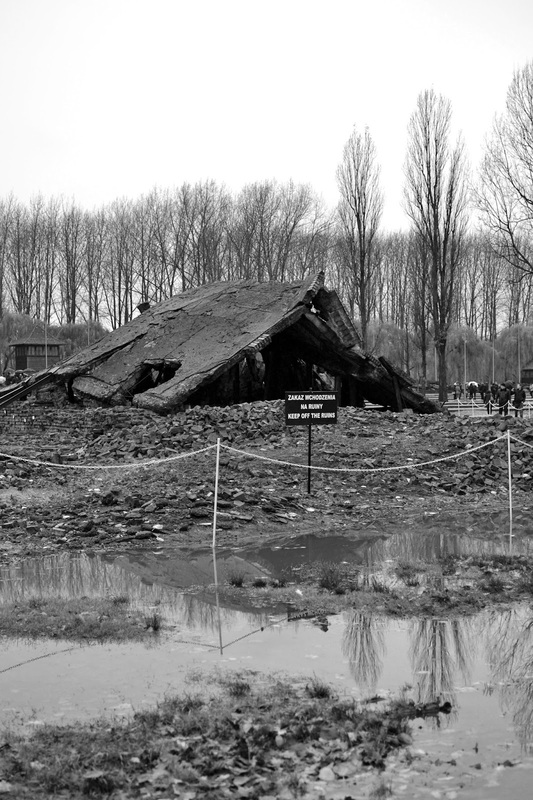 Birkenau is also the location of the majority of the killings, a million people turned to ash, the stillness of the place representing that nothingness of which life became. 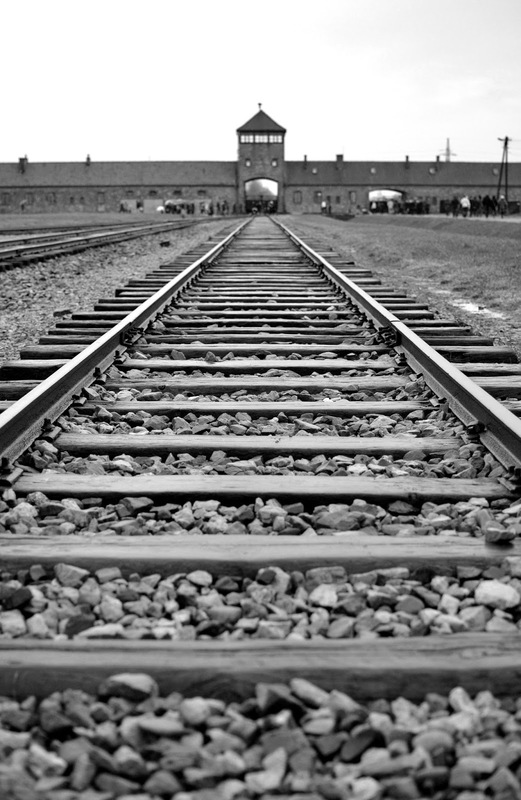 The infamous train tracks ultimate destination was the gas chambers, some where taken to the selection ramp, picked out on a whim whether to live or die, other’s continued straight on to the final destination of the final solution. We came to the ruins of the gas chambers and crematoriums, looking down the steps from which those poor souls never returned. Auschwitz to us was many things, but one I think many don’t talk about is hope. Of all the emotions we felt that day the one we were not expecting to come away with is hope. I felt in seeing the worst of humanity I also saw the best, I read stories of not just extermination but of survival against all odds, of the human endeavor never to give up, to give in or surrender, to keep fighting for each other, for life and for peace. I felt that as a whole the experience was one which was too large to fully comprehend, numbers became abstract, too large they are hard to grasp, the feeling of this being much larger than any of us, larger than anything we can ever understand. The inability to take it all in just emphasises the scope of the holocaust and the need to experience this rather than just read about it, how it solidifies those abstract feelings into enormous and over powering memories to take with you and inform the rest of your life. From the main bus station in Krakow there are many buses you can take. There are local buses as well as minibuses headed towards Oswiecim, most stop at the museum or along the main road but it’s best to double check beforehand. The mini buses are not on any of the information boards so it’s best to turn up early (around 8am) and ask when the next bus is, they run at least 1 every half an hour and take around 1.5 hours. All buses are located in the basement level of the station. A ticket will cost you around 12zl each way and buying a single is best to give you the flexibility to take any bus back. 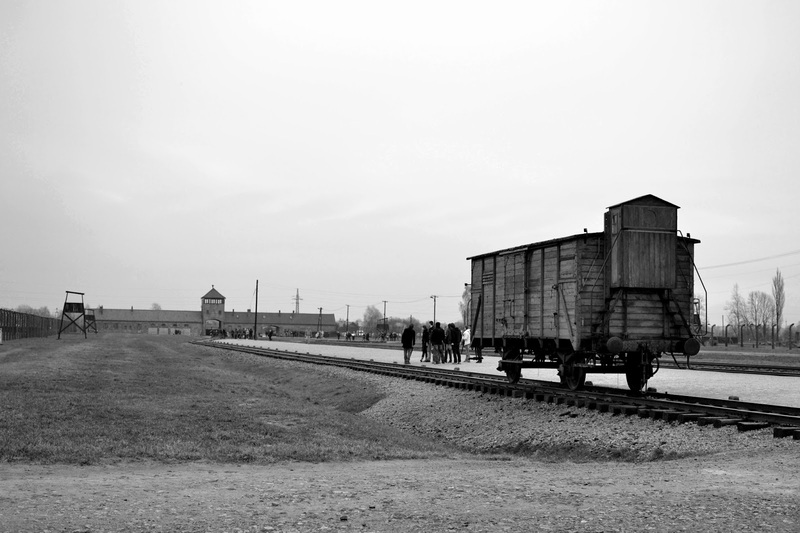 All buses run from Auschwitz 1 and not Birkenau. 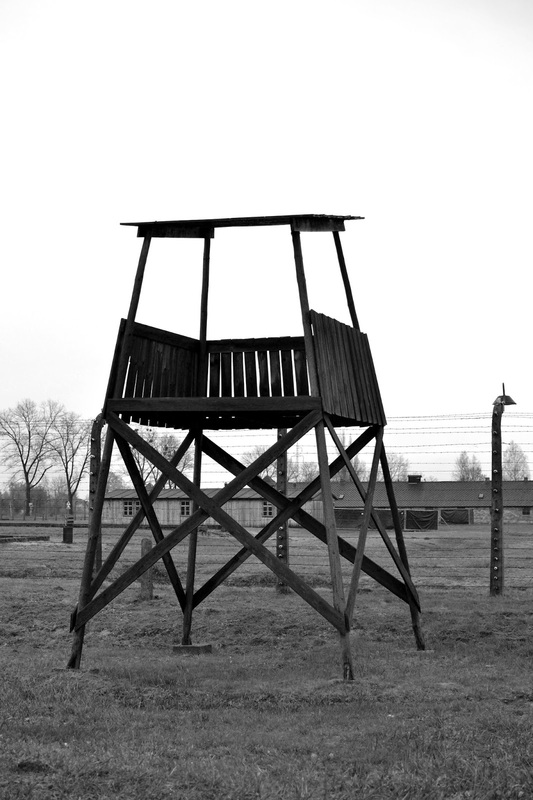 Unlike the bus it will not drop you at the camp, but instead in the town of Oswiecim itself. This means you will have to then take another short bus ride to the camp. However if you have time the town itself is well worth a visit too. Hourly trains run between Kraków Glowny and Oświęcim and take 1.45 hours at a cost of around 9.50zl, tickets can be purchased on the day of travel from the station. Once in Oświęcim bus numbers 24-29 stop at Auschwitz, buy a ticket (3zł) from the nearest kiosk. A free shuttle bus runs between each camp every 15 – 30 mins depending on the time of year and stop right outside the entrance to either site. You should set aside a whole day for the visit and aim to get to the site as early as possible to beat the queues and make the most of it, especially in the winter months. Guide/ tour or go it alone? We chose to visit Auschwitz on our own without a tour or guide, one of the main reasons for this was to allow ourselves to have the time to reflect and also take photos. My experiences of tours in the past have felt rushed and pressured and we also like to be quite independent when we travel. 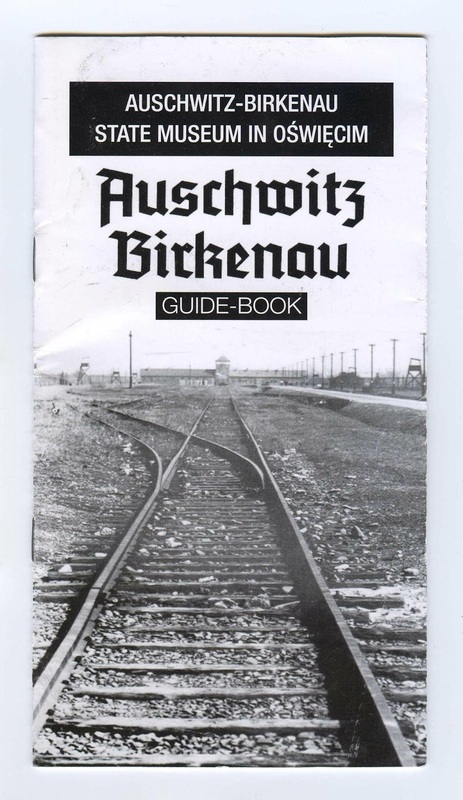 We did purchase a guidebook beforehand however to assist us in navigating the camps and the different sections are quite well signposted as well as providing historical and background information so we didn’t feel we missed anything. If you would like to visit without a guide however you must be sure to arrive before 10:00am or after 3:00pm between April 1st and October 31st (only applicable to Auschwitz 1) as any other time a guide is required. If in a group you also must have a guide. Entrance to each camp is free without a guide. There are two main options if you would like to have a guide. One with a tour group which will include transportation and can be booked from many locations within the centre of Krakow or your accommodation. These however can be overpriced (usually around 100zl) and you will be herded around usually within a group of at least 15, not my idea of a reflecting experience! Alternatively you can hire a guide when you arrive at the museum itself from around 40zl. The tours run several times throughout the day and in many languages. Times can change throughout the year but English tours are generally ever hour at half past and also include a film. These can be joined on the day or reserved beforehand online. 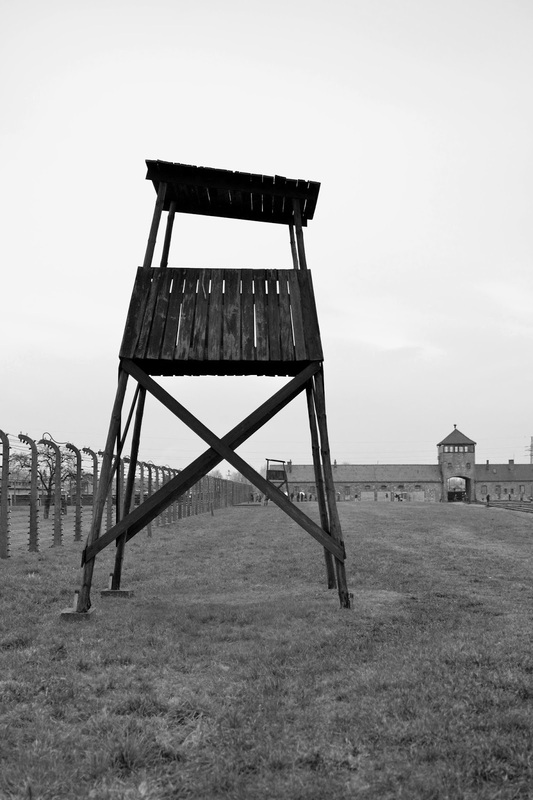 Bookmark this article Reflections on Auschwitz and how to visit. The crazy crowd of a WISLA KRAKOW football game! For me, visiting Auschwitz was a shocking experience. During the visit to the camp, I also visited the town of Oswiecim. There is a museum in the synagogue with pictures and memorabilia of Jewish residents of the town. In the same place you can also borrow the key to the Jewish cemetery. Look around you in the sun, my children. Listen in the dark. It’s happening again. A fourteen-hundred-year-old monster now stalks the land. Again. well I’m not writing all that over again. Anyways, just wanted to say wonderful blog! yet again to read more news. velocity is amazing. It seems that you are doing any unique trick. from this web site, and your views are good in favor of new people. optimization techniques that you decide to use. experts and other agencies and consultants:. You have to take price quotes from different SEO companies locally and internationally. You ought to take part in a contest for one of the highest quality websites on the net. your company began so you can measure positive or negative ROI (return on your investment). make. In this way, it is informed about the kind of information that a surfer is looking for. is to research as many different services as possible. Forgetting to write for an audience is one of the biggest mistakes that bloggers make. Do you know how to make your site mobile friendly? My site looks weird when browsing from my apple iphone. Yes, It depends on you individually really, some people have a better experience that way and it suits them, that OK too! It's just good to see places like this however you feel is the best way. It is quite heavy going and being on our own we just felt we had the time to stop and take it in before moving on. I feel like visiting these places would be emotionally draining for me. It would take a lot of mental preparation before making the trip. I think I would benefit more by going with a guide. We also visited the Holocaust Museum in DC, last year during our stay in NYC. The photos in that place really left me speechless and I felt this was really somewhere I should visit after that. They did a great and respectful job in DC. It has this atmosphere over it which is hard to explain, it's full of sadness and hard to visit, but I also came away with some hope, that if people could survive here then the human spirit is strong. Wow, we visited the Holocaust Museum in DC and that was pretty upsetting. I can only imagine how emotional this trip would be. Thank you. Yes we have always had an interest in the war as my grandparents always spoke about it as I was growing up. It really brings the reality home when you see places like this. I felt proud that the UK and my Great Grandfather had a part in stopping this. My husband visited Auschwits some years ago and told me that it's the most touching and sad place he has visited. I'm not sure I would be capable to visit such a painful site. What an incredibly touching post. I've always been interested in WW2, but I think that actually going to Auschwitz would definitely put a whole new spin on things to actually see in my mind what happened. Thank you! Yes I believe you are right. Lovely capture. I think those places is very important when it comes in history. We watched quite a few documentaries before we went just to refresh our knowledge and always ended up very emotional. It was quite a difficult day and most often you are left without words, but the difficulty is the reason in itself to visit. very true, it saddens me when I see people coming out with statements that if followed through come dangerously close to what happened here, as humans it's scary to see what can happen and we must learn from that. Thank you, the site and surroundings have this strange beauty to them. I guess visiting is not right for everyone but hopefully seeing it and reading about it has a similar effect. I can't even imagine how painful it would be to walk through the site. I'm not sure how I'd handle it, but I also feel it's important to visit. No, I will never forget. Unfortunately there are many who have or somehow have convinced themselves this never happened at all. To stop history from repeating itself-this must be remembered! This is one place I do want to go to, I even watch alot on this and always makes my cry. Yes, I have always stood up for equality but seeing places like this really makes you realise how important it is for us to make sure we made those voices heard against the evil which still exists. Well, I am glad my blog showed you this important place. Yes, a lot to read up about it, not nice reading but things we all should know about. Puts things into perspective for sure. Just looking at your photographs has stirred emotions in me. I think it's good for us to experiences places like this. It makes the torture and death more real and perhaps motivates us to stand up against such things in our world today. Exactly. I always think about places like this or those poor refugees in war torn countries when I start complaining that the cable is pixelating. I have it so good! So do most of us. Wow I had no idea about this. the photos are absolutely beautiful though. I'm going to go read up some more. Thank you. It is a hard place to come and quite overwhelming but that effect it has it part of why the experience teaches us so much. It was somewhere we wanted to visit, it's hard but I think you are right, it teaches a lot by experiencing the place. Your photos are beautiful – Not sure if it is somewhere I would go, but I'm glad I found your post about it! I don't think I could bring myself to visit, but the photos are amazing. Thanks for sharing. Seeing Orangutans in Borneo: A magical experience seeing this fascinating endangered animal in its natural setting.